MR. PABO - BEST WINGS IN AUSTRALIA uses their own specialised couriers to deliver their food. Made with konbu dashi stock, wakame, tofu and spring onion. Cooked young soy beans in pods topped with sea salt, served chilled. Crispy chicken, pickled carrot, sliced cucumber and sriracha kewpie mayo on a brioche bun. Lobster kewpie salad, pickled carrot and slice cucumber, in corn brioche bun. Braised sticky pork belly cubes, homemade kakuni sauce and cucumber slice, in corn brioche bun. Deep fried crumbed mashed potato with carrot, corn and green pea served with tonkatsu sauce. Golden deep fried chowder of fresh crab meat, corn ,white wine served with okonomi sauce. Deep fried crumbed mashed purple sweet potato served with tonkatsu sauce. Combination of lobster slider and braised pork slider for sliders lover, can be the same flavour upon request. Deep fried spring stuffed with mix vegetable of bean sprout, carrot etc served with sweet chilli dips. A big bowl of mixed salad with caramelised lotus and carrot topped with sweet shoyu dressing and shredded seaweed. Homemade spring rolls stuffed with melted cheddar & edamame young soy beans served with sweet chilli (contained dairy). 4 serving of braised pork sliders. 4 serving of lobster sliders. Deep fried tempura batter soft shell crab served with sichimi mayo & sweet chilli sauce, 2 crabs cut to 4 pcs. Kaarage squid stir fried with hakata sea salt, sansho pepper, 7 spices flakes and aonori seaweed powder. Set of four sliders. 1 x Sriracha Crispy Chicken Slider, 1 x Kakuni Pork Slider, 1 x Kewpie Lobster Slider and 1 x Crab Meat Slider. M9 David Blackmore wagyu beef, kimchi stir fried with mix vegetable. M9 David Blackmore wagyu beef, black pepper sauce stir fried with king oyster mushroom. M9 David Blackmore wagyu beef, hakata sea salt stir fried with king oyster mushroom. 4 x Takoyaki, 2 x Sweet Purple Potato Croquette, 10 x Spring Rolls, and 1 x Fried Chicken. Korean style fried chicken topped with special blend salt and pepper (contain chicken bones). Korean style fried chicken topped with tasty honey soy sauce (contain chicken bones). Korean style fried chicken topped with everyone's favorite sweet chilli sauce (contain chicken bones). Deep fried chicken strips served with chef special ponzu shichi-mi sweet chilli dip. Deep fried chicken pieces with chef secret batter recipe served with shichi-mi togarashi kewpie may. Deep fried chicken pieces with chef secret batter recipe served with home-made chilli jam. Deep fried chicken pieces with chef secret batter recipe coated with everyone favourite sweet chilli sauce. Deep fried chicken pieces with chef secret batter recipe coated with tasty honey soy sauce. Choose 2 between: pabo chicken strips, pabo popcorn chicken, pabo chilli popcorn, pabo sweet chilli popcorn, pabo honey soy popcorn. Choose 4 between: pabo chicken strips, pabo popcorn chicken, pabo chilli popcorn, pabo sweet chilli popcorn, pabo honey soy popcorn. Bowl of plain steam rice. Traditional Japanese braised square Pork belly cube. Deep fried Chicken strips topped with sticky Honey sauce. Deep fried chicken strips topped with Japanese yuzu Lemon sauce. Char grilled Japanese Nihon unagi topped with Chef sauce. Chicken pieces cooked in Chef secret Marmalade Teriyaki sauce. Our homemade breadcrumbed pork loins steak to go with butter black pepper sauce. Japanese style chahan with naruto Fish cake, Egg, Corn and Chicken. 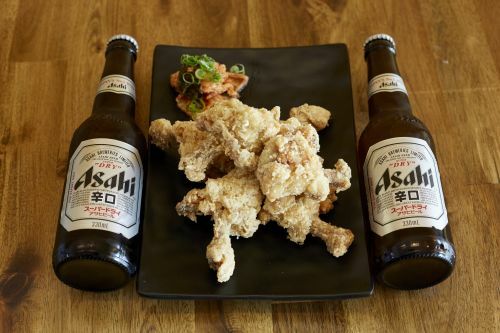 Our best-selling fried Chicken strips served with fragrant Chicken schmaltz and shoyuRice and shichimi sweet Chilli dip. Our best-selling fried Chicken strips to go with Japanese Curry gravy, aka Chicken katsu curry. Asian style fried Chicken with fragrant Chicken schmaltz and shoyu Rice served with Garlic, Ginger Spring Onion. sauce. Our homemade Breadcrumbed Pork loins steak to go with our Japanese curry gravy. Our fried Rice wrap in Japanese style Omelette top with Tomato sauce. Japanese style chahan with Kimchi, Carrot, Garlic chives and Egg. The imitation of the "MOST POSTED" fried Rice video on social media, our fried Rice wrap in Japanese style Omelette top with Japanese curry gravy. Out of all the Japanese snacks out there, nothing quite compares to these roasted peas. If you don’t care for the fierce flavour of Wasabi, then you’ll love these bite-size bits. Each pea is roasted for the right flavour and crunchy texture. It is nearly impossible to eat just one. Sink your teeth into one of the most legendary biscuit snacks in the world with this Pocky Chocolate Classic. Exactly the same as they were when first made in 1966, these Pocky consist of crunchy sweet biscuit sticks coated with a layer of chocolate. Slice of our in-house made creamy green-tea cheesecake. This delicate cake is very moist, smooth, creamy, and has just enough sweetness with a fragrance of green-tea and cheese. Super tasty corn flake snack by Nissin! This crisp choco yummy is sliced into 8 slices which are perfectly sized to eat! This snack is a round-shaped corn flake snack encased in milk chocolate! Light crispy biscuit sticks double coated with smooth milk chocolate and chunky almond bits. This almond crush pocky makes a fine dessert and it's impossible to eat just one pocky stick. Kasutera in Japanese, is a popular Japanese honey sponge cake which was originally introduced by the Portuguese merchants to Nagasaki area in the 16th century. The name is derived from Portuguese "Pao de Castela", meaning "bread from Castile". A dark brown top and bottom and creamy yellow sponge cake on sides give beautiful contrast. This delicate cake is very moist, smooth, bouncy, and has just enough sweetness with a fragrance of honey. Can of 315ml white grape juice. Can of 315ml fuji apple juice. Milk flavour carbonated yoghurt drinks. The beverage has a light, somewhat milky, and slightly acidic flavor, similar to plain or vanilla-flavored yogurt. Its ingredients include water, nonfat dry milk and lactic acid, and is produced by lactic acid fermentation. Original flavour Japanese marble drink, distinctive design of its bottle, often called Codd-neck bottles after the inventor. Codd-neck bottle was commonly used for carbonated drinks 100 years ago, today Ramune is one of its very few users. Lychee flavour Japanese marble drink, distinctive design of its bottle, often called Codd-neck bottles after the inventor. Codd-neck bottle was commonly used for carbonated drinks 100 years ago, today Ramune is one of its very few users. Strawberry flavour Japanese marble drink, distinctive design of its bottle, often called Codd-neck bottles after the inventor. Codd-neck bottle was commonly used for carbonated drinks 100 years ago, today Ramune is one of its very few users. Capturing the joy of Japanese summer, one flavour at a time! Grape is one of Japan’s most loved soda flavours. This 500ml serving ensures that you are getting more delicious grape soda for your money. Enjoy an iconic sweet taste of Japanese summer festivals with Sangaria Ramu Bottle ramune soda. With an almost bubblegum-like flavour unlike anything available in the UK, this ramune soda comes in a larger 500ml serving, so you will be getting more delicious soda for your money.